Almost every Democrat in the US Senate just voted to keep Test and Punish. I know. I feel like I just entered a parallel universe, too. But that’s what happened. No Child Left Behind (NCLB) is a disaster. It took the Elementary and Secondary Education Act (ESEA) – a federal law designed to ensure all schools get equitable resources and funding – and turned it into a law about standardized testing and punishing schools that don’t measure up. This was a Republican policy proposed by President George W. Bush. But now that the ESEA is being rewritten, those pushing to keep the same horrendous Bush era policies are the Democrats. Almost all of the Democrats! That includes so-called far left Dems like Bernie Sanders and Elizabeth Warren! It comes down to the Murphy Amendment, a Democratically sponsored change to the ESEA. This provision was an attempt to keep as many Test and Punish policies as possible in the Senate rewrite. The amendment, “reads more like NCLB, with its detailed prescription for reporting on student test results, for ‘meaningfully differentiating among all public schools’ (i.e., grading schools), including publicly identifying the lowest five percent, and, among interventions, potentially firing staff and offering students the option to transfer to other schools and using part of the budget to pay for the transportation,” according to blogger Mercedes Schneider. Thankfully it was voted down. The ESEA will probably not be affected. The rewrite was passed by both the House and Senate without these provisions. Once the two versions of the bill are combined, it is quite possible – maybe even probable – that we’ll have a slight improvement on NCLB. Sure there is plenty of crap in it and plenty of lost opportunities, but the ESEA rewrite looks to be a baby step in the right direction. The problem is this: the failed Murphy Amendment shows the Democrats’ education vision. Almost all of them voted for it. Warren even co-sponsored it! When it was defeated and the Senate approved the ESEA rewrite, Warren released a statement expressing her disapproval. But if you didn’t know about the Murphy Amendment, you could have read her criticisms quite differently. That sounds good until you realize what she means. “Educational outcomes” mean test scores. She’s talking about test-based accountability. She is against the ESEA rewrite because it doesn’t necessarily put strings on schools’ funding based on standardized test scores like NCLB. She is upset because Republicans repeatedly stripped away federal power to Test and Punish schools. The GOP gave that power to the states. So Warren is concerned that somewhere in this great nation there may be a state or two that decides NOT to take away funding if some of their schools have bad test scores! God forbid! And Warren’s about as far left as they come! What about liberal lion Bernie Sanders? I’d sure like an explanation for his vote. It makes me wonder if when he promised to “end No Child Left Behind,” did he mean the policies in the bill or just the name!? The Democrats seem to be committed to the notion that the only way to tell if a school is doing a good job is by reference to its test scores. High test scores – good school. Bad test scores – bad school. This is baloney! Test scores show parental income, not academic achievement. Virtually every school with low test scores serves a majority of poor children. Virtually every school with high test scores serves rich kids. Real school accountability would be something more akin to the original vision of the ESEA – making sure each district had what it needs to give kids the best education possible. This means at least equalizing funding to poverty schools so they have the same resources as wealthy ones. Even better would be ending our strange reliance on local property taxes to provide the majority of district monies. But the Dems won’t hear it. The Murphy Amendment seems to show that they’re committed to punishing poor schools and rewarding rich ones. I really hope I’m wrong about this. Please, anyone out there, talk me down! Up until now I’ve always been with the Democrats because they had better – though still bad – education policies than the Republicans. I’m not sure I can say that anymore. In fact, it may be just the opposite. Which party is most committed to ending Common Core? The Republicans! Which party has championed reducing federal power over our schools and giving us a fighting chance at real education reforms? Republicans! Which party more often champion’s parental rights over the state? Republicans! Sure, most of them still love vouchers and charter schools. But increasingly so do the Democrats. This vote has me rethinking everything. Our country’s education voters may have just been abandoned by their longest ally. NOTE: This article also was published on Commondreams.org and on the Badass Teachers Association blog. It was also mentioned in the Washington Post. only one thing I gotta say: AAAAAAAAAAAAAAAAAAAAAAAAAAA!!!!!!!!!!!!!!! Universal Pre-K and the protection from bullying of LGBT students were good initiatives. But this myth that accountability can only be done in the presence of standardized test scores is ridiculous. There are plenty of other ways to make sure kids are getting the resources they need. How about looking at per pupil spending? That’s easy to determine and completely objective. If we aren’t spending at least the same to educate every child in the country, they clearly aren’t getting the same quality education. THAT’S a Civil Rights issue! Not access to bubble tests so big corporations can make money. But there isn’t something like that on the table and without anything at all to protect the most vulnerable what do you figure will happen? What is the real better choice here? Right now? A tangible one, not a theoretical one. We have been screwed thru 2 bush and 2 Obama presidencies. It feels so inevitable now that ppl will push for charters and tests because of accountability but more so because of $$$. So many pols think their reforms and privateering are just going great. They’re deluded and clueless about today’s schools! Thank you!!! I was counting on Progressives to pull us out of this nightmare. I am so unbelievably disappointed. I so appreciate knowing I’m not alone. Thank you, Nicole. We’re all in this together. We shall overcome… Somehow. Where does the Green Party stand on these issues? Green Party. Help us build this long game. I can understand the safeguards Elizabeth Warren is talking about. Republicans want to remove the federal government from the equation when it comes to deciding a school’s funding, and want to give the power to the states – which makes sense, since it’s the party’s founding philosophy.That means, if a state wanted, they could fund schools even less than the already are and use the money elsewhere – which is completely and utterly counterproductive. I can definitely see how taking this out of the hands of the federal government and giving it to the states would also give them the opportunity to takes steps backwards if the states desired – which is a trend with the Republican party now, isn’t it? Taking tax dollars from places that need it and using it somewhere else? When I went to public school, some of the best teachers I had who were excellent at their job left because of salary cuts, and they were instead replaced by inexperienced, under-trained teachers. TL;DR, I can see why Warren took the stance she did. It would be too risky to outright abolish the federal government’s authority in deciding school funding. Then why not put safeguards in place that have nothing to do with standardized testing? No. Warren’s been a cheerleader for punitive accountability for a while now. This has been increasingly obvious for a while. And it’s worth remembering that No Child Left Behind isn’t really a Bush program, but was hailed as bi-partisan triumph at the time, championed by the old liberal lions like Ted Kennedy. It is in the dark part of Democrat DNA to believe that nothing can be done without making everyone accountable to the federal government. Thanks for commenting, Peter. You’re right that NCLB was approved in a bipartisan vote. However, it was proposed and championed mostly by Republicans. Rank and file Democrats needed convincing. Today they’re leading the charge. I always suspected the Dems might stab schools in the back. I just didn’t think they’d serve us up with Fava beans and a nice Chianti. I am not sure where this blaming of Democrats comes from. Let me remind everyone that Jeb Bush is the #1 reason for Common Core and further this is simply another big business corporate policy so a handful of key companies can make a lot of money off of our kids. I don’t see any Republicans speaking in big terms about repealing NCLB a and to repeal it they would have to totally overhaul how schools receive federal money. Millions of dollars are made off those tests annually–so this is not just about money received by the state anymore–and caring about big business and their bottom lines has almost always been a Republican hallmark. BOTH parties have failed students for years and bipartisan or not, BUSH signed NCLB into law. He did nothing to stop it. Let’s start fact-checking by candidate instead of slinging mud at “progressives” or “liberals”. http://Www.aft.org has a 50 question interview with Bernie Sanders on education and NCLB a and they are mystified that teachers unions have thrown their support behind Hillary Clinton instead of Bernie Sanders based on the marked difference in their view of education. Bernie is NOT in support of vouchers moving tax dollars out of certain schools and more. Fact check. Fact check. Jen Bush may be in favor of Common Core but it’s not his baby. Bill Clinton was pushing for voluntary national standards during his presidency. Hillary is drinking that look-aid, too. Up until today, I’ve liked Bernie Sanders, too. However answers to a questionairre and political speeches are nothing next to real votes. Bernie voted for the Murphy Amendment. I’d sure like to know why. Unfortunately, the “progressives” are no longer progressive, and no longer liberal. Apply the same disbelief in our “world turned upside down” to foreign policy as well. We’ve just enabled an Iranian Hitler to have an atomic bomb, and it was our so-called Democratic president that did this. I have been a life-long Democrat and consider myself far more liberal than the left of the party for the last many years. The left is no longer liberal and that is a tragedy beyond words for our country and the world. Open your eyes folks as so much depends on seeing things as they are. With the exception of the Iranian Hitler thing, we’re in agreement. The first testing and standards based education amendment to ESEA was introduced in 1978 by Ronald Milton Mottl D-Ohio 23 (Cleveland area). It did not go anywhere. Senator Jeff Bingaman [D-NM] Introduced a similar law in 01/14/1991. It was later signed into law by George H. W. Bush. In 1994 Bill Clinton and the Democratic congress mandated high school exit exams. In 2001, Senator Kennedy and Congressman Miller both Democrats sponsored NCLB, which George W. Bush signed into law in 2002. In 2009, Obama gave us RTTT and Arne Duncan. This federal arrogation of school control has been led by Democrats. Republicans have been complicit but Democrats have led. Peter is right, the Democratic party believes in federal control which is why they don’t sweep to victory given the benighted policies promulgated by Republicans. People fear being under the Democratic boot. No matter your political ideology, the voting record on the Murphy amendment is a shocking revelation. It seems like the Democrats have always been aligned with test and punish. What is the political benefit to the Democrats of continuing policies that are being used to shut down public schools and replace them with charter schools? There won’t be any public schools left to exert federal control over if they are all turned into charter and private schools. I don’t get the Democratic obsession with standardized testing. Party seems to no longer matter when it comes to education. In NM, we have a Republican governor and Secretary of Ed (who served in FL under Jeb before coming here) and we are DROWNING in test-and-punish mandates practically created by these Republicans, but authorized by RTtT policies by a Democratic President and Secretary of Ed. We are truly down the rabbit hole. If the feds had control of the public schools, the test-and-punish agenda that profits Pearson would be a done deal. Just because there is a battle going on right now to make sure the feds don’t get that power doesn’t mean that we are off the hook. The RheeFormers (and that includes corporations like Pearson) will just switch their focus to all the states instead of DC. It will cost them more and mean they will have to work harder to subvert our republic. They are not going to go away if the Feds lose the reigns to the hijacking of public education in the U.S. RheeFormers smell money like vampires smell fresh blood and nothing will stop them from going after the green blood of greed. Things may be different at the state level. Here in Pennsylvania, the Democrats are much more supportive of education than most Republicans. This may be a national problem but it will probably trickle down eventually. Historically, we’ve seen major parties in the U.S. shift their platform before and that usually is a disaster for the party that changed. For instance, the GOP under Abraham Lincoln ended slavery, and Teddy Roosevelt ushered in the progressive era, supported the growth of labor unions and broke up the corporate trusts. Then during the Civil Rights era, the Democrats became to champions to fight segregation and racism and the GOP became the party that the KKK and White supremacists fled to. I think the Democratic Party has just imploded and we might be seeing another major shift in American politics taking place but what will that change look like. Will we end up with two major political parties that are cancerous to 80% of the people and the republic? I hope you’re right, Lloyd. But in the meantime there would be chaos. All we need to do is look who are the profiteering architects of the Common Core and all the abusive measures attached (all very Profitable), these are Billionaires and their Foundations who are funding every group that is advising these legislators. Take a look at the 12 “so-called” civil rights groups who came out in support of testing, they all get money from Gates, Eli Broad, some even the Koch’s brothers. What the Devil of education, (Bill Gates) was able to do with the help of ALEC, was to buy enough poverty pimps to do their bidding, and when these groups come out defending their profit making schemes, it give some semblance of validity, because these groups have a reputation for defending civil rights. I would love more information about these civil rights groups accepting money from Gates, Broad & Kochs. Love the term “poverty pimps.” Thanks for commenting. I just heard that one of Warren’s advisors on education is affiliated with Teach Plus. Why do folks keep believing, like idol worshipers, that either party (both beholden in the wallet to the big corporations) has the best interests of Americans at heart, especially with a bread and butter issue like public education that is being prepped and ready to fleece by both parties and their masters? 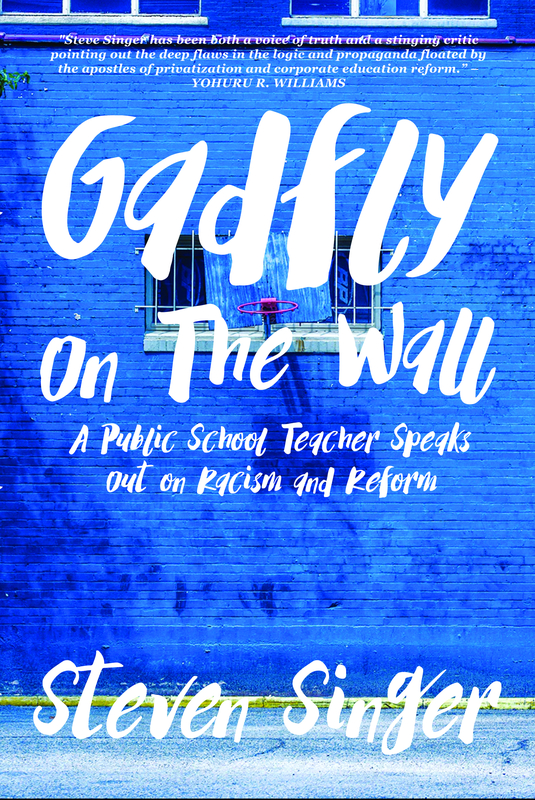 If people want to know what the Obama Chicago Way Camp had in store for public education, you can take a look at this essay: http://www.scribd.com/doc/106337306/THE-CHICAGO-PUBLIC-SCHOOLS-ALLERGIC-TO-ACTIVISM#scribd If folks want to know what the Republicans have been up to on their end, take a good look at Wisconsin. It’s pigs all-around at the trough. First of all, “democrats” have already been aligned with test and punish. For many years. Then you claim we are “doomed,” all because of the votes on this one bill, of which we do not understand the circumstances surrounding it. The votes here may have been troubling, but just like your post about Marvel TV shows, you have sensationalized the issue and jumped to conclusions, taking the issue beyond the realm of reason and into an emotional response. Bernie Sanders will be one of our greatest allies for social and educational justice. 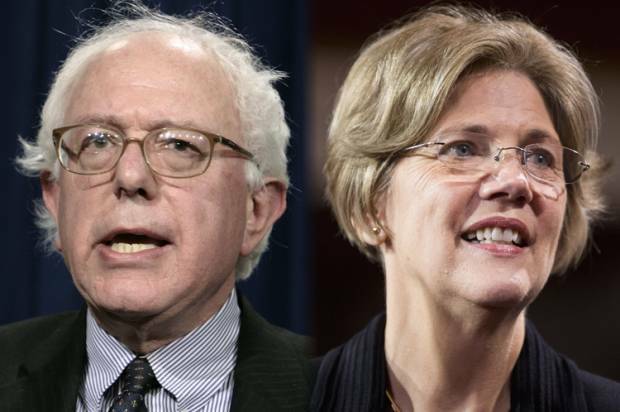 It is extremely foolish to paint him (and Elizabeth Warren) in a negative light due to one or two decisions, which may end up being a mistake (that could be reversed later on, since Sanders is known to listen and adapt to reason and evidence) — or it may turn out there was more than meets the eye on this vote. Why don’t you focus more on presenting the facts instead of throwing the baby out with the bathwater. Ed, I may be overstating things, but you are understating them. Actions speak louder than words, and almost all Senate Democrats just voted against one of the core values of education voters. They voted to keep the same failed policies that have been crippling our schools for 13 years. And even though they were defeated by the Republicans, they are going to keep fighting for these regressive policies to stay in place. That’s a BIG DEAL. It shows that when they tell us how they support reducing testing, teacher autonomy and all the things we lobby them about, they are just placating us. Even Bernie. He said he would help end NCLB. He didn’t lie, because he is helping end NCLB – as in end that name but not the policies described by it. This is not at all acceptable. We heard the same stuff from Obama when he ran for his first term. But once he got into office, he continued the same Bush education policies he had campaigned against. For Bernie this may be the first strike, but for Warren it’s at least strike two. She wrote a book championing school choice. If we don’t hold our politicians accountable for how they vote, it is we who are being very, very foolish. And many actions over time speak louder than one action, especially when the context of that one action is unclear. The truth is that he has not even gotten a chance yet. He is far from being president, and you already imply he could pull an Obama. Which is true, it COULD happen, but that’s a big IF and not consistent with Bernie’s principles. Drawing up a premature doomsday scenario is not going to help our cause. This vote by Senator Sanders is not equivalent to supporting NCLB. Of course, I agree with that, but examining an issue and raising discussion is one thing, while stirring a negative uprising over ONE vote is another. The testing is not necessarily bad. What would happen if we taught the kids how to take the tests from a logical perspective? You can’t get a decent job today without undergoing a battery of tests. Why not make test taking a viable subject from the get go? Some kids fail because they don’t know the subject but some fail because they don’t have test taking skills. If certain skills are needed in order to make a living then it is imperative that we teach those skills for the sake of the children. I remember the darn tests scaring us silly, I also remember worrying if I would be promoted to the next grade. Hell I have an IQ of over 130 and I still worried. I say teach them how to logically take the tests. It will help them learn how to learn in general. it will teach them how to read for the information they need. Cheri, we already do that far too much. Multiple choice tests are bad indicators of academic success. They don’t show you much except kids can take a test. If we reduce school to just that, we are cheating children out of the broad education we had. Moreover, there are very few jobs that require those skills – choose between A,B,C or D. We need to teach critical thinking, not dumb down the curriculum. Put kids first, not the testing industry.